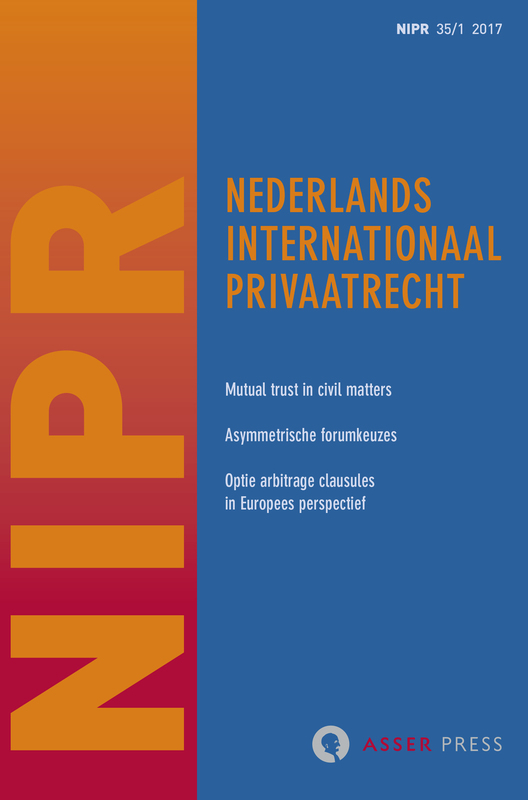 The Netherlands journal of private international law, Nederlands Internationaal Privaatrecht (NIPR), vol. 35-1, has just been released: click here to see the full ToC. Mutual trust has become a normative cornerstone of the EU’s area of freedom, security and justice, as is being confirmed and reinforced by recent and fundamental decisions of the ECJ. At the same time, some Member States are more than ever occupying low rankings in different surveys on the quality of their administration of justice or are being challenged as not sufficiently implementing the rule of law. Th us, a conflict appears to be currently culminating between norm and fact. Th is conflict puts in question the fundaments of judicial cooperation and contributes to centrifugal tendencies within the European Union. In order to counteract such tendencies, the text offers some deeper, including some historical, thoughts on mutual trust, as well as its facets and functions in judicial cooperation amongst the Member States in civil matters (Brussels Ia Regulation), in particular in relation to the return of abducted children (Brussels IIa Regulation), in administrative matters dealing with asylum seekers (Dublin Regulations) and criminal matters (Framework Decision on the European Arrest Warrant), i.e. in cases where there is a transfer of persons from one Member State to another. In this context mutual trust has become an element of the very identity of the European Union whereas from the perspective of (at least German) constitutional and European human rights law mutual trust has become a true challenge. 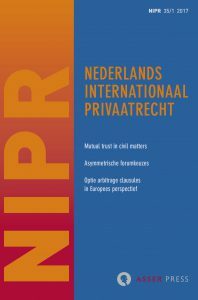 On the basis of these considerations on the general framework of mutual trust, the question is posed whether there should be some rebalancing of mutual trust in the cooperation in civil matters.